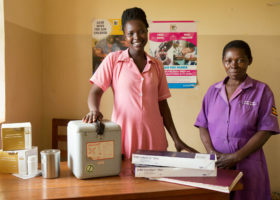 Each year, the Shot@Life community works together to give more of the world’s children access to lifesaving vaccines. 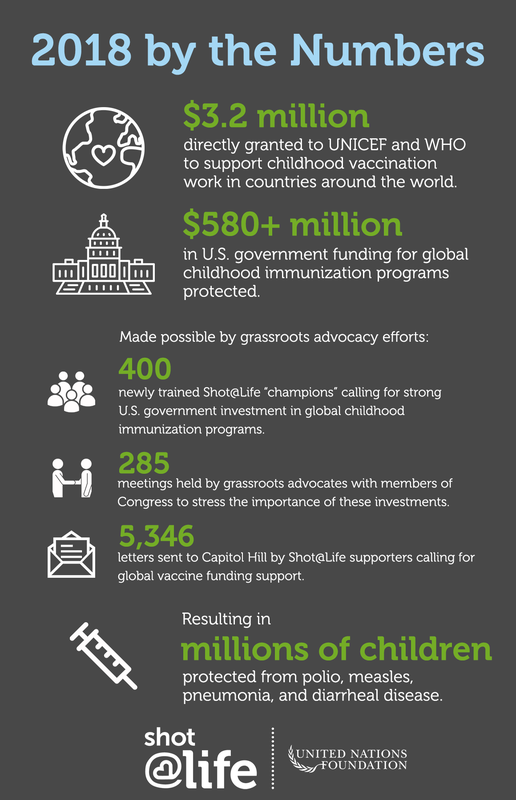 In 2018, with our grassroots advocates, we helped protect vital U.S. government investments in global childhood vaccine programs – a great success in this challenging political environment. In addition, we made direct grants totaling $3.2 million to support the on-the-ground vaccine program work of UNICEF, WHO and Gavi. Millions of more children have a chance at a healthy future, thanks to your support. 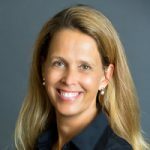 Vaccine-preventable diseases continue to take the lives of children around the world, so work remains. We look forward to working together with you to give more children a shot at life in 2019.